The following is the text of Andrew Gavin Marshall’s presentation at the book launch of The Global Economic Crisis: The Great Depression of the XXI Century”, Michel Chossudovsky and Andrew Gavin Marshall (Editors). September 29, 2010, Montreal, Canada. The global economic crisis arose as a result of decades of global imperialism – known recently as ‘globalization’ – and the reckless growth of– speculation, derivatives and an explosion of debt. As the economic crisis spread, nations of the world, particularly the United States, bailed out the major banks (which should have been made to fail and crumble under their own corruption and greed), and now the West has essentially privatized profits for the banks, and socialized the risk. In other words, the nations bought the debt from the banks, and now the people have to pay for it. The people, however, are immersed in their own personal debt to such degrees that today, the average Canadian is $39,000 in debt, and students are graduating into a jobless market with tens to hundreds of thousands of dollars of student debt that they will never repay. Hence, we are now faced with a global debt crisis. To manage the economic crisis, the G20 was established as the major international forum for cooperation among the 20 major economies of the world, including the major developing – or emerging – economies, such as India, Brazil, South Africa and China. At the onset of the financial crisis, China and Russia’s central banks began calling for the establishment of a global currency to replace the U.S. dollar as the world reserve currency. This proposal was backed by the UN and the IMF. It should be noted, however, that the Chinese and Russian central banks cooperate with the Western central banks through the Bank for International Settlements – which the President of the European Central Bank, Jean-Claude Trichet, recently said was the principle forum for “governance of central bank cooperation” and that the G20 is “the prime group for global economic governance.” In 2009, the IMF stated that the BIS “is the central and the oldest focal point for coordination of global governance arrangements.” The President of the European Union, appointed to the position after attending a Bilderberg meeting, declared 2009 as the “first year of global governance.” The 2009 Bilderberg meeting reported on the desire to create a global treasury, or global central bank, to manage the world economy. In 2009, prior to the Bilderberg meeting in fact, the G20 set in motion plans to make the IMF a global central bank of sorts, issuing and even printing its own currency – called Special Drawing Rights (SDRs) – which is valued against a basket of currencies. In May of 2010, the IMF Managing Director stated that “crisis is an opportunity,” and while Special Drawing Rights are a step in the right direction, ultimately what is needed is “a new global currency issued by a global central bank, with robust governance and institutional features.” Thus, we see the emergence of a process towards the formation of a global central bank and a global currency, totally unaccountable to any nation or people, and totally controlled by global banking interests. Andrew Gavin Marshall is a Research Associate with the Centre for Research on Globalization (CRG). He is co-editor, with Michel Chossudovsky, of the recent book, “The Global Economic Crisis: The Great Depression of the XXI Century,” available to order at Globalresearch.ca. 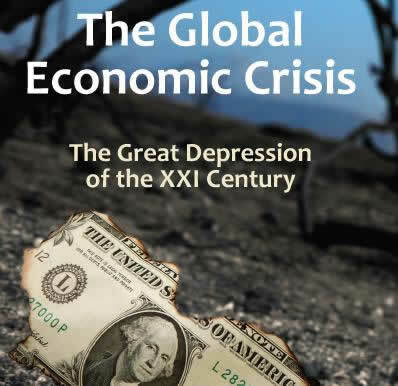 Click here for details: “The Global Economic Crisis: The Great Depression of the XXI Century”, Michel Chossudovsky and Andrew Gavin Marshall (Editors).